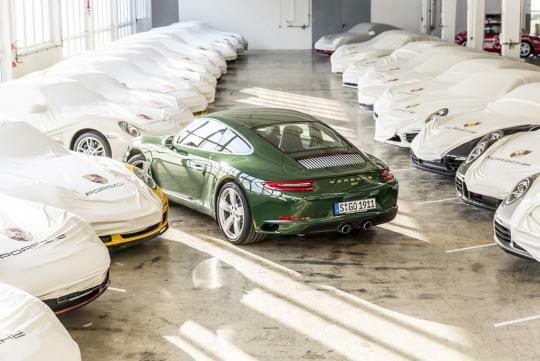 Porsche has made one million 911s. 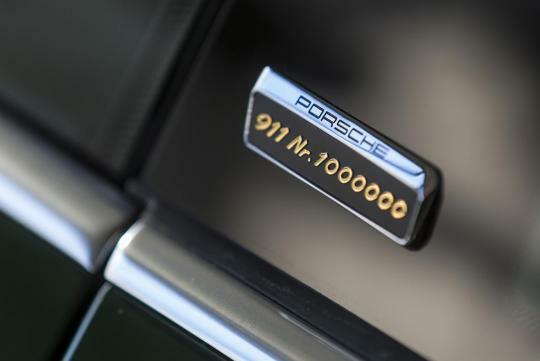 Car number 1,000,000 rolled off the company’s Zuffenhausen production line today, trimmed specially to reflect the first 911 from 1963, with Dr Wolfgang Porsche behind the wheel. So it’s painted a very smart Irish Green colour, with trim and badging picked out in gold and some tremendous houndstooth seat trim inside. There’s even a wooden steering wheel. And yes, purists, you can breathe easy. It’s a manual. It’s based on a 911 Carrera S, which means it’s powered by a 414bhp turbocharged engine and is capable of 191mph and a 4.3sec 0-62mph time. You want a measure of progress? 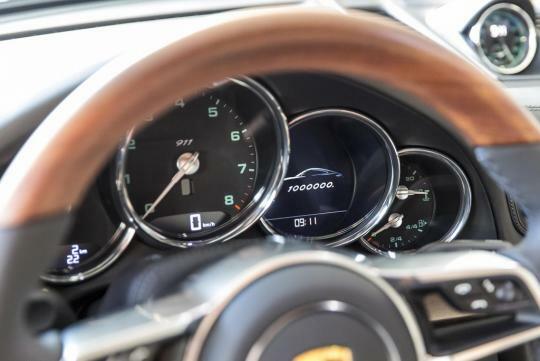 Wind back 999,999 cars, to 911 number one, and you have a vehicle with 128bhp, a 131mph top speed and an 8.3sec 0-62 time. And no Apple CarPlay. There are more impressive numbers to bombard you with. 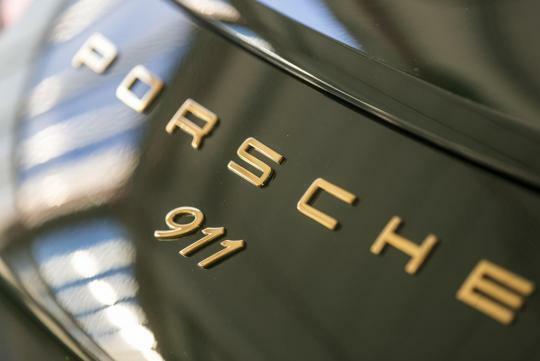 Over half of Porsche’s 30,000 race wins (yes, thirty thousand) belong to a 911. Meanwhile, over 70 per cent of 911s ever built are, in the words of Porsche, “still ready to drive today”. We’re not told what proportion of the remaining 30 per cent are victims of drivers not familiar with the dynamics of a rear-engined car. 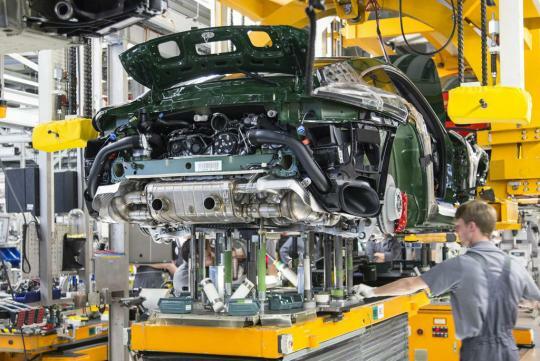 The 911 is occasionally mocked for always looking the same, but more than 50 years and one million units of production suggest it’s a winning formula. And it’s a car with a wide remit, don’t forget; tick a few different boxes on the online configurator and you can morph a four-wheel-drive convertible with an automatic gearbox into a stripped-out road legal racecar with a stick and three pedals. 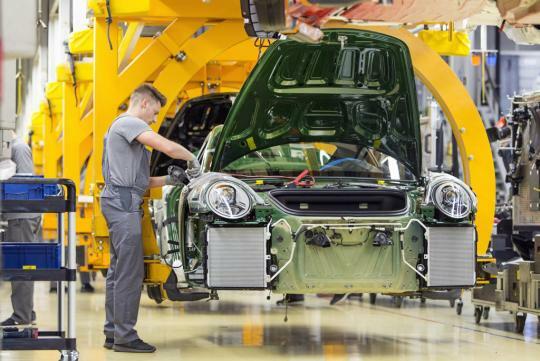 The Zuffenhausen plant won’t stop pumping out 911s anytime soon, then, but it is preparing to handle production of the electric Mission E. No doubt a hint the 911 is preparing to handle electric propulsion of some description, too. An absolutely stunning car. 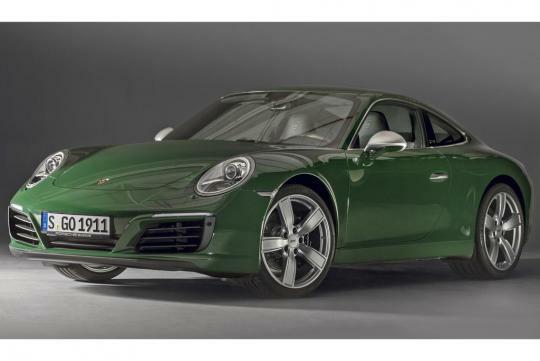 That is a very nice colour for a 911 (similar to British Racing Green).